Still in the Dakota Hotel in Queensferry, I woke up at 10:40am and missed breakfast…again. I always seem to miss breakfast when I stay elsewhere haha unless I’m at Seaham Hall…they always bring me breakfast in bed *grins*. I had fallen asleep really quickly after the Wedding, so Lee just watched the TV for 45mins. He turned to look at me and I was so still and silent that he had to check that I was still alive as it didn’t look or sound like I was breathing…until five minutes later when I apparently *rolls eyes* began snoring like a trooper haha, which to my surprise, he had video-recorded on his phone as evidence haha. Aberdeen FC were staying in our hotel (as was Gareth Gates who also performed at the wedding). As we were driving away, Lee pointed and said “There are footballers here if you fancy being a WAG,” I replied with “No thanks, I’d rather be a FAG” (Lee is a Facilities Manager), we paused and looked at each other, both thinking. We googled WAG which as it turns out doesn’t actually stand for anything relevant to football, it’s just Wife and Girlfriend. The next event (NAMBA Conference) is on Monday in Harrogate, so we thought we should take advantage of having a weekend travelling and stop somewhere half way on the Sunday night…our favourite place, Seaham Hall. Because there was no rush we took loads of detours, and lots of photo’s. I’ll tell you all about Seaham Hall in a few days, it really does deserve a blog of its own. I had been informed that the colour scheme for the conference was blue, so I had planned to wear the blue dress that I had worn for the Dundas Castle Wedding, but one of the straps snapped (have a read of the previous blog to find out why), so I called the concierge in Seaham Hall who kindly brought up a sewing kit, which had the perfect shade of blue cotton in there for my dress. He was a complete life saver. So, some sewing took place haha and then the journey continued. After no time at all we arrived at The Majestic Hotel in Harrogate. Everything was set up and I was ready to begin when in my peripheral vision I saw a familiar face…it was only Ronnie (the father of the bride from Saturdays Wedding) and his partner Debbie. I could’t believe it! This is the conference where he first saw me two years ago before he booked me to perform at his daughters wedding. 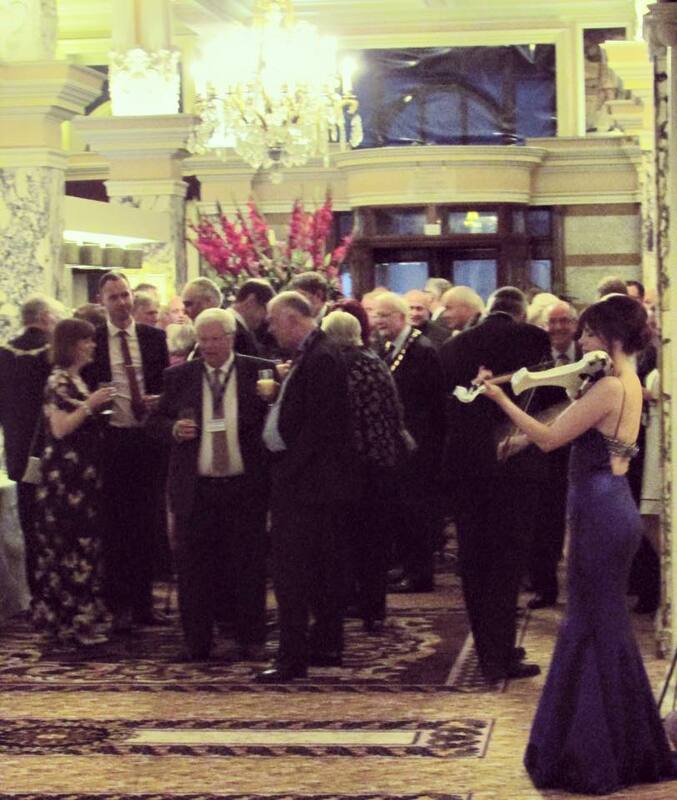 Here’s me (below) ready to begin, and playing for the Drinks Reception while the guests arrive for the Conference dinner. I loved it. Lots of the guests came to ask me for requests, and as I knew Ronnie was in the audience I played the songs that he had chosen for his daughters wedding which he really appreciated. This time I purposefully played ‘World in Union’ (the rugby world cup theme) which is actually Jupiter from the planets. Everyone looked at each other, nodding as I played it, and when I finished the whole room applauded. It always feels amazing when a room of people dining stop to applaud. Two hours after I began, it was time for the speeches. It turned out that the President of NAMBA requested me to return to perform for the conference. That put a smile on my face, how lovely. 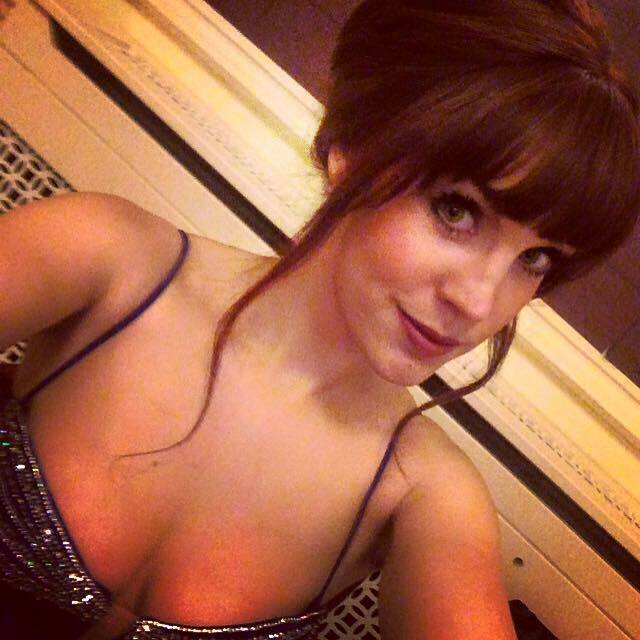 I’ll tell you what else was lovely…taking my hair down and taking my make-up off haha. That has to be one of the best feelings going.